How to Setup YouTube Channel for Business – YouTube is undoubtedly one of the biggest platforms to market your services. If we look back into the older days, YouTube was not even considered as the online marketing platform. But now with the changing times, the world seems to be driven towards YouTube for all the good reasons. Also setting up an YouTube channel for your business is extremely easy which makes it even more interesting to use. 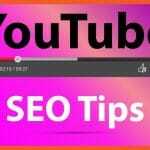 YouTube is a core social network site that is very beneficial for your business to grow. If you are still not using YouTube as a marketing platform then you are really missing out on something extremely good. With YouTube you can share your services through videos to people around the globe. YouTube allows you to host your own channel related to anything be it business oriented or for entertainment purpose. In a YouTube channel you can create your own videos related to your products and services. If people will like it they will subscribe to your channel and will share that video to others. This will ultimately give channel more attention and your business will constantly grow. Videos nowadays are an integral part of the people lives because they are easier to understand and relate to. Not only People will get a better understanding of your product through videos but it will be easy for you either to make them understand. YouTube is now trending and the best part of using this is you can showcase your service to the International audience as well. A YouTube channel makes a public presence of your business. Starting a YouTube channel is extremely easy, if you have an account on Google. But in case you do not have an account so make one and then plan to start a channel on YouTube. Follow the instructions mentioned below in the list to get started with YouTube channel. 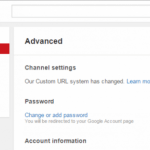 Log in to YouTube with your Google account. After logging in you will be taken to the YouTube home page where on the left side you can see the option My channel. After this, click on the option Use a business or other name. If you already run a business so you can put that name and if you do not have then think of a creative name and add it. Now choose a relatable name for your channel and also choose a category that best defines your business or services. Start sharing videos to the world and attract genuine viewers. So, above mentioned are the steps that you can follow up to start a YouTube channel that will bring you more profits if used correctly. Hosting and getting started with YouTube channel is this simple. So start your own channel now and see yourself loaded with benefits. There are unlimited benefits of using YouTube channel for your business. You can actually grow your business on YouTube mere with the videos. Below listed are the major benefits of YouTube channels. If you use YouTube for your business then you can easily reach your audience. 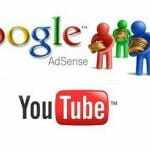 You can either create your videos or simply can advertise on other people’s videos. 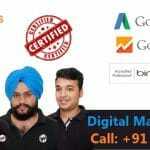 Marketing on Google will make you found on Google very easily. 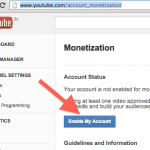 Reason being you can only access YouTube with a recognized Google account. Your content will never die on YouTube channel. YouTube allows you to re-purpose your content which is an efficient way of marketing. It can help you to grow your audience worldwide. You can also build your email list on YouTube channel. Your audience will itself promote you and buy your products or services. You can even make money on YouTube if you are running it properly. YouTube is the third largest online social media network that people use on a daily basis. It has billions of viewers and followers. These all facts make up all the reasons for you to host a YouTube channel right now. Go ahead and introduce your business to new marketing techniques and see your business growing extraordinarily.